Everyone knows Detroit's got problems. Friday morning, the city's emergency financial manager announced a suspension of some payments to unsecured bondholders. 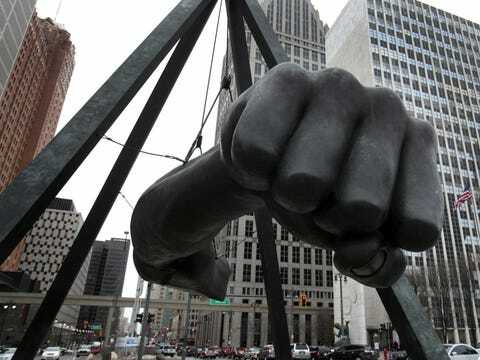 Detroit topped the list of Forbes' 'most miserable cities' list this year. The city's finances had to be taken over by the state of Michigan. And former mayor Kwame Kilpatrick is likely going to jail for a long, long time. But we're banking on the city getting its act together — and it's not just because things can't get any worse. In several major economic indicators, Detroit's rate of improvement has matched or exceeded the national average. And its sports teams keep winning titles.